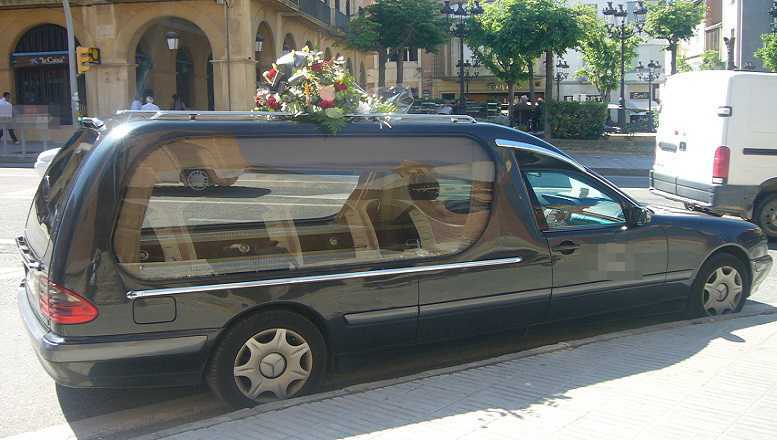 Last Monday at 6 p.m, 911 got some telephone calls to report that in the Ocean Avenue a vehicle without a driver hampered access because it was parked in the middle of the main street; furthermore they reported that it was a hearse. The police arrived immediately, which call was made by a young man in a suit, “Agents, I’m the driver of that car, I started yesterday to work in the company and I’d be afraid to transport a dead man, I heard some noises going through over in the back of the car and in the next moment I descended rapidly, who knows if the man’s dead or alive, I don’t know”. In response, they called an ambulance, while they regulated traffic without move the car of that place. When the ambulance got there, they opened the back door of the car, noting that the strange noise came from a telephone that it had been forgotten there by an employee of the of the company. Therefore it was not necessary open the coffin. Amidst laughter, the fearful man continued moving the coffin.